Windows let in sunlight and offer a view to the world around you. But sometimes, the light is too strong, or you are worried about your family’s privacy. One of the easiest fixes for these issues is window tinting. Tinting your windows can have a dramatic effect on the temperature in your environment and can even save you money in the long run. You’ve no doubt heard of tinting car windows, but did you know that you can also tint the windows of your house or commercial space? Any window can be tinted. The question you’re probably thinking though is how much will it cost? Read on to find out more about the benefits of tinting and how much window tinting can cost. Tinting car windows is the most popular form of window tinting. It gives the car a sleek look and helps block out 90% of harmful UV rays. Tinting the windows in your car can also cool your vehicle by 60%. By blocking the sun’s strongest rays, your interior is protected from sun damage such as fading or cracking. While there are do-it-yourself kits to tint your car windows for under $100, hiring a professional will get you the best bang for your buck. If the tints aren’t installed properly, the film will bubble up. You also run the risk of scratching your car’s paint or glass. However, the most important reason to hire a professional is due to strict state laws regarding vehicular window tints. A professional will generally charge anywhere from $100 to $800 to tint your car windows. This number fluctuates based on the number of windows you would like tinted as well as the cost of specialty film or colors. If you’re just looking to get a visor strip tinted, the cost is significantly lower. It’s great to have a house that gets a lot of light. It improves mood and gives your home an open feel. However, too much light can be a problem. Rooms can get extremely hot, furniture can fade, and there can be excessive glare on the screens of your devices. Many people opt for window coverings not realizing that tinting is a viable option that goes a step further and blocks out harmful UV rays. Installing window tints in your home can decrease your energy costs, provide you with a greater degree of privacy from your neighbors, and improve the curb appeal of your home. The cost of the tinting installation will depend on the type of film you choose as well as the number of windows you need to have outfitted. If you hire a tinting installation expert, you can anticipate paying roughly $5 to $8 per square foot. On average, most homeowners who have all the windows in their house outfitted end up paying roughly $600. For commercial buildings, there are many types of window films including solar, decorative, and security. Tinting the windows of a commercial building, like a residence, can help provide privacy, keep the temperature comfortable, and provide a decorative element. Installing window tints on a commercial building is a big job. 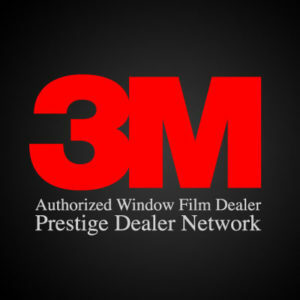 The first step to determining cost is the type of film chosen to tint your windows. Many types of film range from $5 to $7 per square foot. In addition to the cost of the film, you will need to factor in the size of the building and the difficulty in accessing the windows. Experienced professionals will charge higher labor costs, but keep in mind, you’re paying extra for quality. The cost of having windows tinted varies based on the type of film you use and the number of windows you want to be outfitted. Whether you’re looking for window tinting for your car, house, or office building, Total Eclipse has the resources and experience to get the job done right. Contact us today to talk about your installation project. We look forward to serving you.